Universiti Pendidikan Sultan Idris was established on 1st May 1997 based on Government gazette P.U. (A) 132 & 133 dated 24th February 1997 under the Order of Universiti Pendidikan Sultan Idris (Corporation) and the Order of Universiti Pendidikan Sultan Idris (Campus) 1997. However, the history of this University dates back to 1922 when the University was then known as Sultan Idris Training College (SITC). SITC was set up by the British government and it was the brainchild of the Deputy Director of Malay Schools, Sir Richard Winstedt. SITC was officially opened on November 29, 1922 by the Chief Secretary to the Federation of Malay States, Sir George Maxwell, making it the highest institution of learning exclusively for the Malays at that time. Graduates of this institution were greatly respected and honoured by the society as it was renowned for producing prominent figures like the ‘Father of Modern Malay Language’, Zainal Abidin Ahmad or popularly known as Za’ba, novelists like Harun Aminurrashid, and Ahmad Bakhtiar and legendaries such as Ibrahim Yaacob and Aminuddin Baki. Tan Sri Awang Had Salleh, a national figure in the field of education and not forgetting the Former Deputy Prime Minister of Malaysia, Tun Abdul Ghaffar Baba are also the ‘products’ of SITC. To many, SITC was regarded as the birthplace of Malay nationalism. In the early days, students of SITC had to undergo a three-year training course, where they learnt traditional skills and arithmetic. These students were under the tutelage of its teaching staff comprising of four Europeans, one Filipino and ten Malays. After the 1957 Razak Report, new subjects were introduced and the training course was extended to five years. 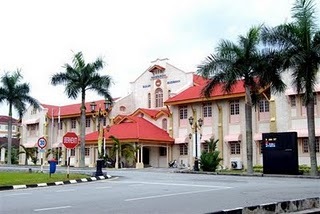 In addition, the name of the college was changed to Maktab Perguruan Sultan Idris (MPSI). Traditionally, MPSI accepted only male students. However, in 1976 it began to open its door to the female population admitting its first batch of 150 female students. 1n 1987, the Minister of Education bestowed the institute status upon the country’s oldest teacher training college, and MPSI was thereafter referred to as Institut Perguruan Sultan Idris (IPSI). With its new status, IPSI started to introduce new courses including a twinning programme with Universiti Pertanian Malaysia (currently known as Universiti Putra Malaysia). By then, the number of students, lecturers and support staff had increased in tandem. It is the aspiration of the Ministry to have only graduate teachers spearheading both the primary and secondary schools in Malaysia. Thus, in order to realise such noble dream, the Ministry of Education granted the university status to IPSI on 1st May 1997. ~HOW DOES MOE SUPPORTS SMART SCHOOL?